The muskellunge (muskie) is a relatively uncommon freshwater fish native to North America. The muskellunge is the largest member of the pike family, Esocidae. Muskie fish are found in lakes and large rivers in the Great Lakes region of North America including Michigan, Wisconsin, Minnesota and into Canada. 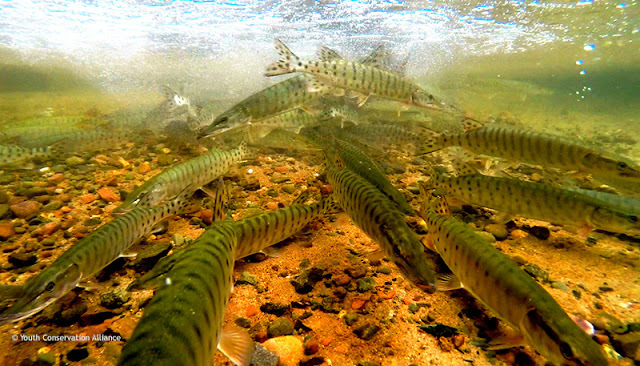 Microscope World's customer, The Youth Conservation Alliance, is a 100 percent youth focused charity that teaches children about the environment, through the sport of Muskie fishing. The image below was taken from a recent Muskie stocking venture between the Youth Conservation Alliance and the Department of Natural Resources in Wisconsin. The Muskie fish were stocked in Round Lake in northern Wisconsin. Muskie fish scales are similar to that of a tree and the fish can be aged by counting the larger rings. The image below of a muskie fish was captured under the Motic BA310 biological microscope at 600x using a microscopy camera. This fish is estimated to be six or seven years old. 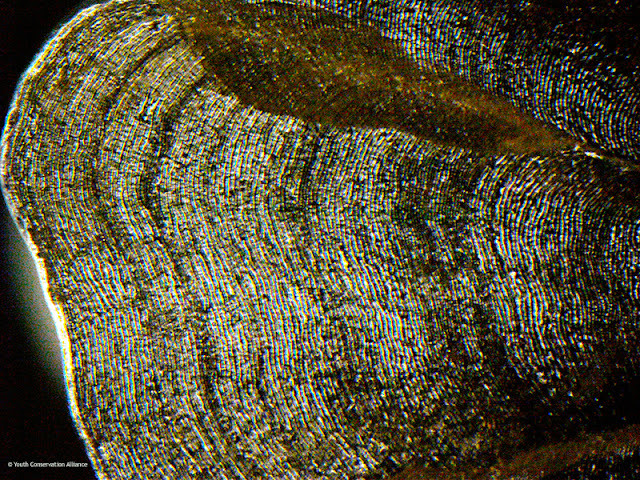 Muskie fish scale captured at 600x under a biological lab microscope. Below are the fish gills of a healthy muskie fish captured at 1000x magnification. 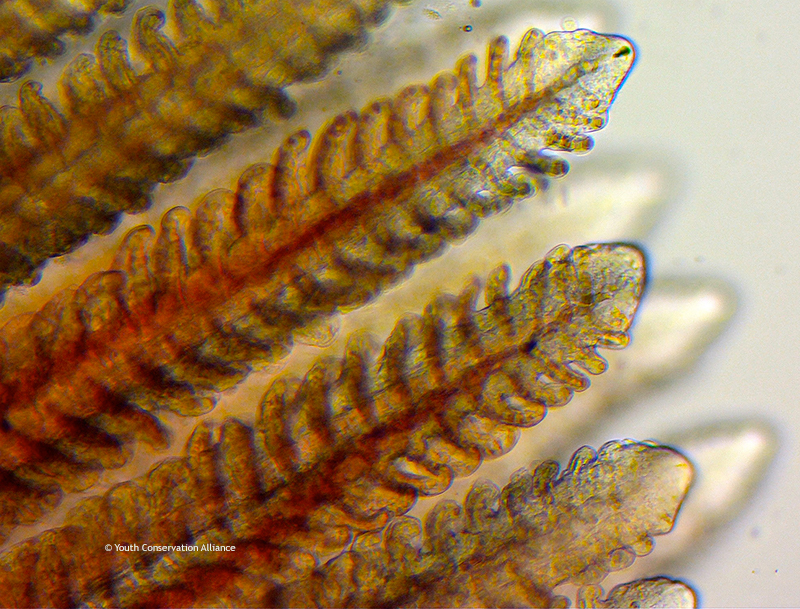 Healthy muskie fish gills under the microscope at 1000x. Below are the fish gills of an unhealthy fish that was near death, also captured at 1000x magnification. Notice the blood clotting in the gills. The sickness of this particular muskie fish was unknown. Unhealthy muskie fish gills with blood clotting under the microscope at 1000x. 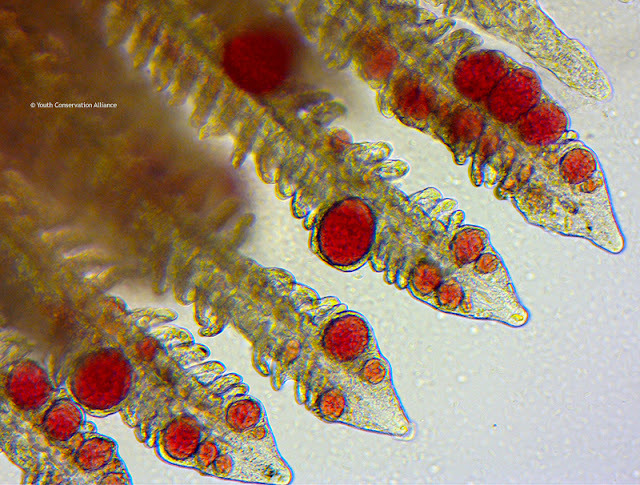 Below is a photo of a parasite that had embedded itself into the soft tissue of the fish gill where it was eating away at the blood cells. Parasite embedded into the soft tissue of the fish gill under the microscope. All images courtesy of the Youth Conservation Alliance were captured during youth muskie research projects onsite at the State Fish Hatcheries while the children were participating. 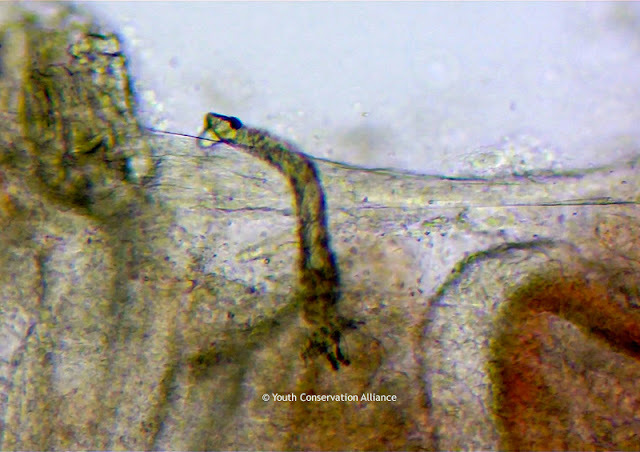 Learn more about the Youth Conservation Alliance here and learn more about the Microscope World microscopes used in their projects here.